Just like last month, we are cooking from a monthly menu plan. And again, like last month, I allowed for some last minute additions to the plan! Last week, we attended my niece's graduation party and my sister-in-law sent us home with a quart of baked beans that were left at the end of the party. Since I had some leftover ham steak in the fridge, I decided to make the most out of those leftovers and threw together a quick Corn Dog Casserole, replacing the sliced hot dogs with the diced ham. Mmmm! I made some corn on the cob to serve on the side. Pork loins were on sale last week. I'm picky pork and only eat it when it's prepared a few different ways. Since Grace's Aunt Barb is recovering from surgery, I decided to make a crock pot full of Heinz 57 Pulled Pork to take over for dinner. Two small pork loins made enough for 5 of us to eat generous portions and also provided leftovers for both here and at Barb's house. Potato wedges and some store bought coleslaw and cucumber salad were served on the side. We also enjoyed some Pesto Orzo. Another dish that was leftover from the graduation party. I'm really glad I made too much for the party since the heat was so bad this week, I was happy to not have to cook a few nights this week! Whole Chicken in the Crock Pot, Mashed Potatoes with Cauliflower, steamed carrots. Loaded Mashed Potato Pie, corn on the cob, salad. Sweet 'n' Sour Meatballs, Buttered Noodles, steamed veggies. 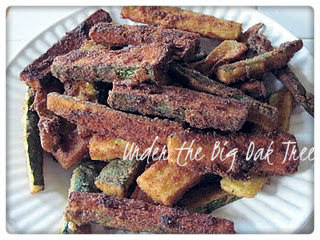 Tuna Tomato Pasta, fried eggplant (or breaded zucchini if they are ready to be picked from the garden). You can also find this week's menu plan linked to On the Menu Monday hosted by Yvonne at Stone Gable. Check out our latest giveaways! 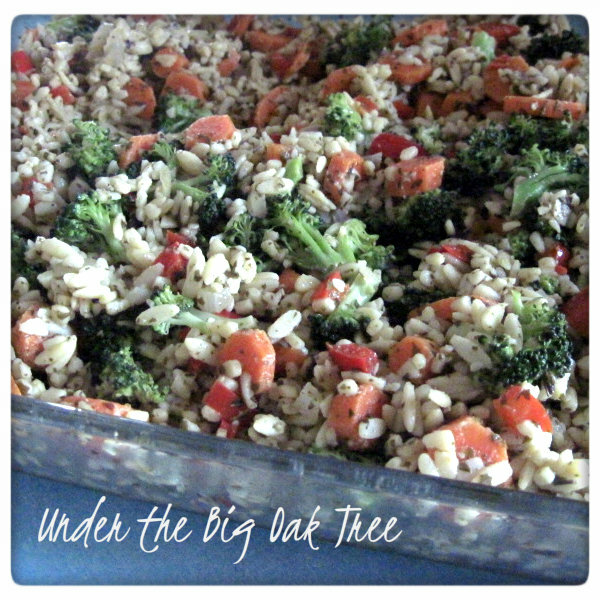 Enter the Aurora Natural Original Salad Fixin's Giveaway! Enter the Butch's Smack Your Lips BBQ Giveaway! Oh my goodness... corn dog casserole! I can't seem to find the recipe!!! I know that loving hot dogs aren't PC, but it is true... I love them! I am checking out your loaded potato casserole. YUMMY! Thank you so much for joining ON THE MENU MONDAY with this delicious recipe filled menu! 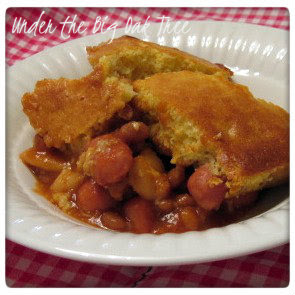 Corn Dog Casserole - going to try this one - my kiddos will love it! Don't forget to enter our Summer Giveaways!